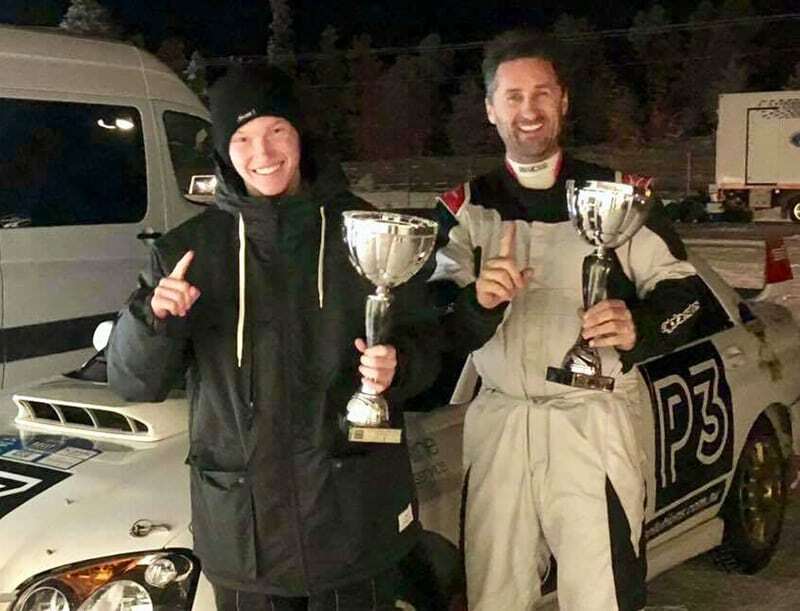 The Australian team of Thomas Hewett and Brad Jones, both from Queensland, scored a class win in Finland’s Arctic Lapland Rally last weekend. Competing together for the first time, as well as being their first winter rally, the pair were under no illusion the learning curve was going to be steep in the P3 Solutions / Appliances Online backed Subaru Impreza STi, leased from the Finnish rally and rental experts team at Dogbox oy. Even with two days of testing with former WRC driver, Kristian Sohlberg, nothing could fully prepare the two Aussies from the Sunshine State to the temperatures of -30 that awaited them when they moved north to the rally base in the Lapland town of Rovaniemi, a town that sits on the edge of the Arctic Circle. The rally, which also saw the rally debut of Formula 1 driver Valtteri Bottas, was contested over 10 stages run over two days, totalling 243km. The stages were a mix of a 3.5km super special used three times, and seven forest stages, including a 49km long stage to conclude the rally. Queenslanders Thomas Hewett and Brad Jones. 109 crews started the rally, but for the Australian team, seeded at number 77, it was nearly all over before it had started when the car jumped out of the ruts and off the road into a snow bank, less than one kilometre into stage one. The car remained stuck for 21 minutes before an army of Finnish rally spectators appeared and pulled the car back onto the road. With the off and the subsequent time penalties for running late, the crew found themselves in last place and 28 minutes down as they pulled into service for the first time. With having fun and finishing now the only priority, they pushed on, learning as they went and as the rally continued the stage times improved. They consistently set mid-field times in amongst the Finnish regulars and as the rally reached the end, the last stage saw the duo reach an average speed of 107km/h over the 49 kilometres of the closing stage. The team spirit never left the crew and in the true Australian winter sport style of Olympic speed skater Steven Bradbury, as they pushed on towards the finish line, the tough conditions saw 38 teams retire from the the event, including all of their class rivals. 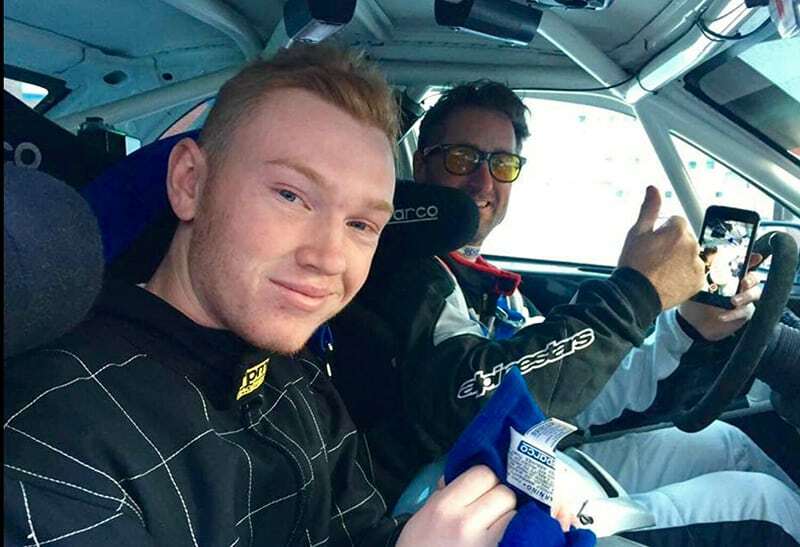 This left Thomas and Brad to win their class of the rally. As the saying goes: “to finish first, first you have to finish”. Thomas Hewett and Brad Jones celebrate their class win in Finland.